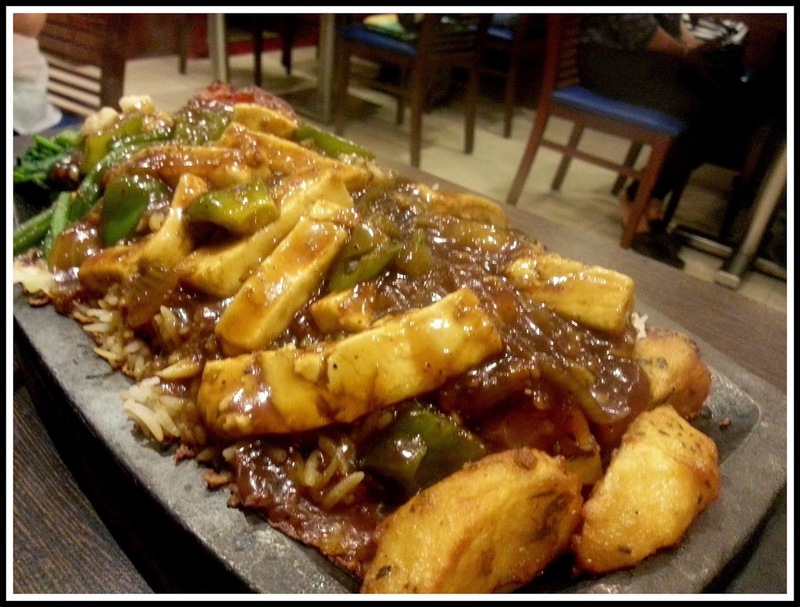 From the time you step foot in Bombay Blues, smell of sizzler and fried onion rings gets you salivating!! Bombay Blues needs no introduction, I have been going to this restaurant since my college days. It's a place where you get delicious food which is hearty and unlike other restaurants, doesn't hurt your pocket too much!! 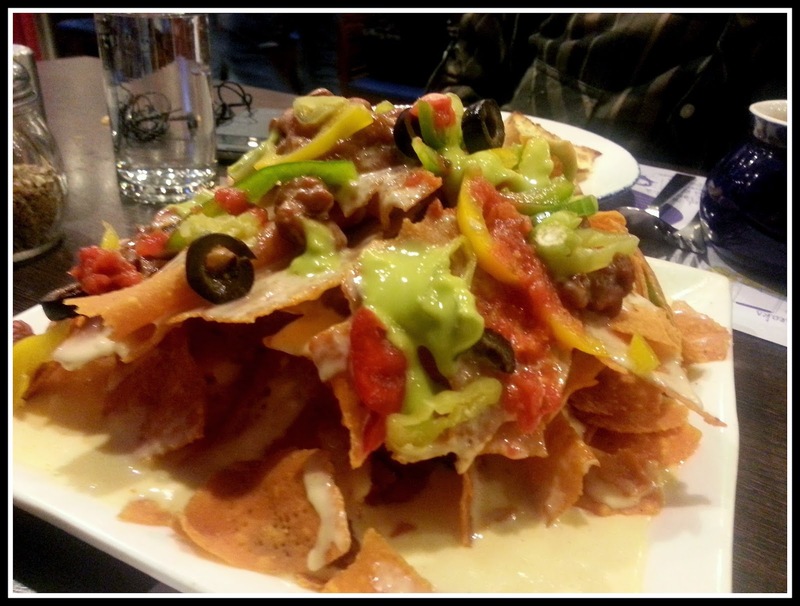 If you are a frequent eater at Bombay Blues, you know that calling for Nachos is a tradition! 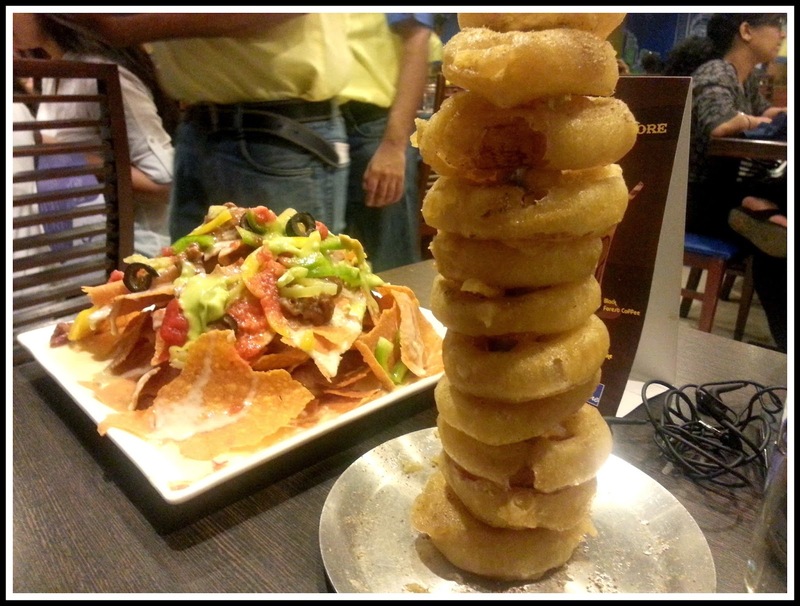 Went out with my husband and bro-in-law other night ,we ordered "Maha- Nachos" which was actually huge in quantity. Laden with bell peppers, salsa, olives, melted cheddar cheese and beans, it's always a treat to eat this dish!!! 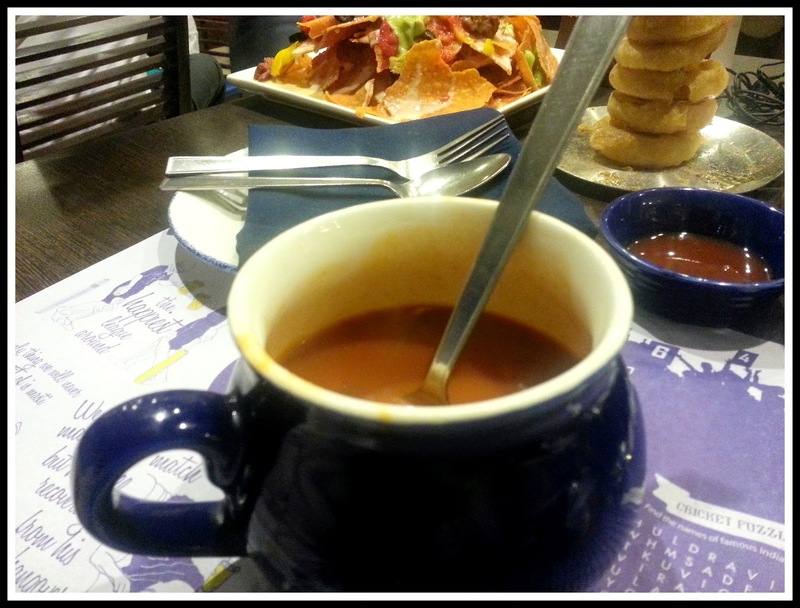 We couldn't obviously stop at one dish so ordered my husband's al-time favourite Tomato soup which is infused with bell peppers, onion rings which happen to be my favourite and the very filling Panner Soya Chilli Sizzler too!!! I know that sounds like a lot of food but we were genuinely hungry and also I guess it's ok to overeat once in a while!! I made up for it by doing extra suryanamaskars the following morning. I am pretty sure you are thinking that we were done at this stage! Not quite! 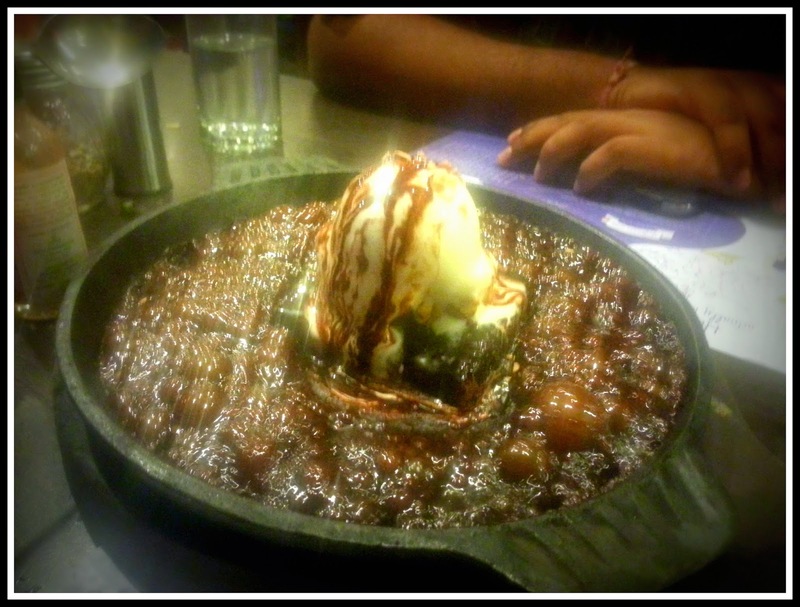 I was in full mood to overeat and had to order the very famous sizzling brownie. Every time I order it, somehow my tongue always ends up burning. That is probably because I am not patient once the food is on the table. That day was no exception either, my tongue did burn and two days later, I am still finding it hard to slurp tea! !